This beautifully crafted 1.75 qt loaf pan from Polarware features a smooth, beaded edge with a continuous flange for comfortable handling and transport. 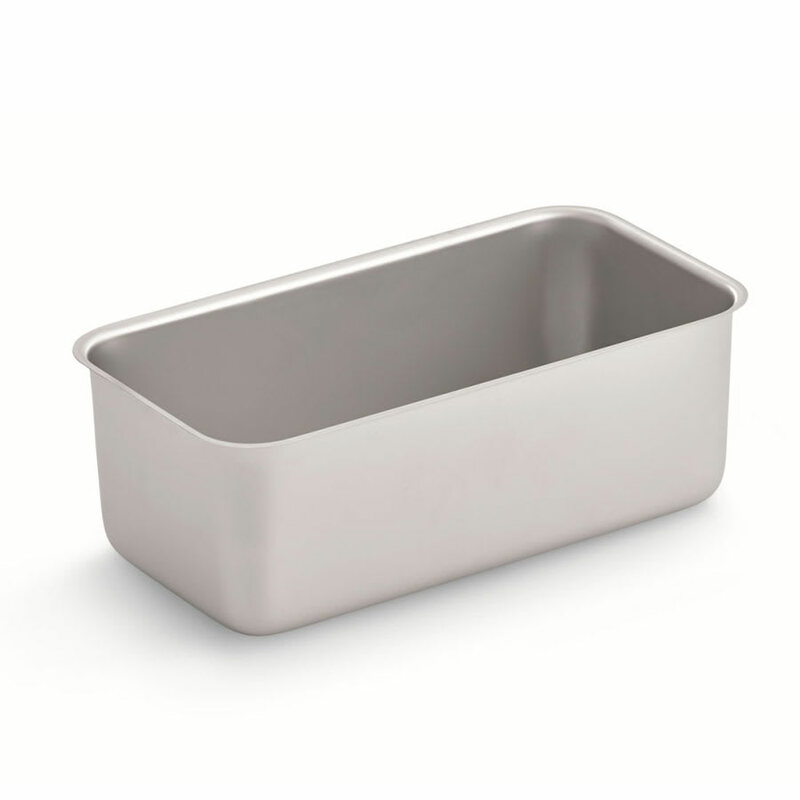 The clean edge of this 1.75 qt loaf pan also provides easy, sanitary cleaning which is a necessity for any professional kitchen. Constructed of 300 series stainless steel, this 1.75 qt loaf pan may be used for cooking, serving and storage! Loaf Pan, 1-3/4 Qt., 8-3/4" x 4-5/8" x 3-1/8" stainless steel, NSF. "My wife makes our bread and absolutly loves her stainless steel loaf pans. We bought a set for our daughter too and she bakes several dozen loave..."
"My wife makes our bread and absolutly loves her stainless steel loaf pans. We bought a set for our daughter too and she bakes several dozen loaves a week for a small local distributor. She loves hers too."